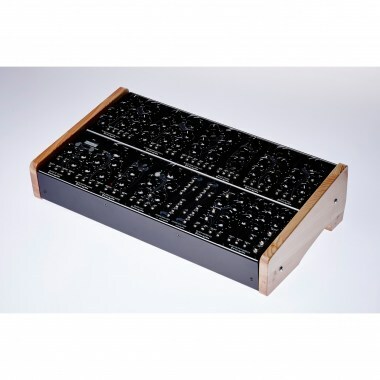 Full aluminum 2x84HP 50mm deep eurorack skiff enclosures with aluminum rails of a unique design are developed with superior functionality in mind ﾖ they are configurable in less than a minute ﾖ add wooden side panels for desktop use, combine two units and have EMS Synthi-like configuration or use rack ears to put your modular in your rack-mount studio system. 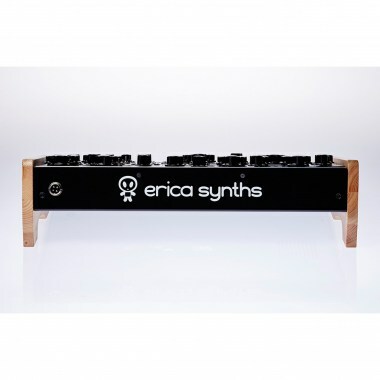 Eurorack - кейсы для модульных синтезаторов Erica Synths 2x84HP skiff case for external linear PSU Вы можете купить по выгодной цене в наших музыкальных магазинах в Москве и Санкт-Петербурге, интернет-магазин, доставка по России. Full aluminum 2x84HP 50mm deep eurorack skiff enclosures with aluminum rails of a unique design are developed with superior functionality in mind ﾖ they are configurable in less than a minute ﾖ add wooden side panels for desktop use, combine two units and have EMS Synthi-like configuration or use rack ears to put your modular in your rack-mount studio system. This enclosure turns your eurorack system into a piece of art! 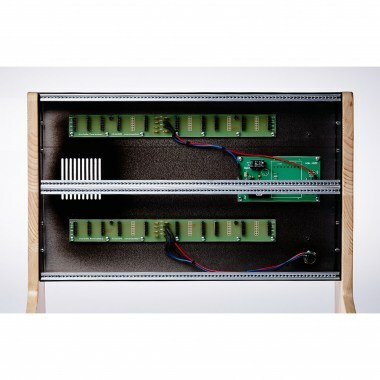 As standard the 60mm deep enclosures come with horizontal wooden side panels and two power distribution rails with 10 connector sockets each. Don't forget to order power supply unit of your choice! Few versions are available ﾖ Doepfer-like 1,25A PSU (110V or 220V) and contemporary design 2,5A PSU for dual case. 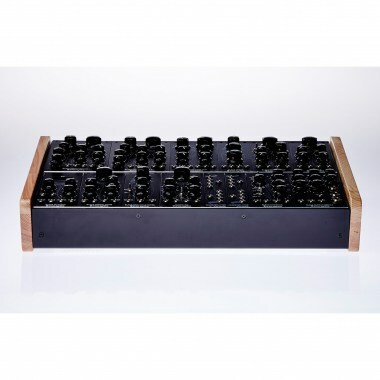 Also check Eurorack Case accessories for options ﾖ pre-installed +5V PSU, rack ears, vertical wooden side panels and wooden sides for double case. Skiff case can be used with modules up to 45mm deep - most of skiff modules available from leading producers will fit there. 461x270x120mm (case depth is 65mm, but wooden side panels make it under the angle.